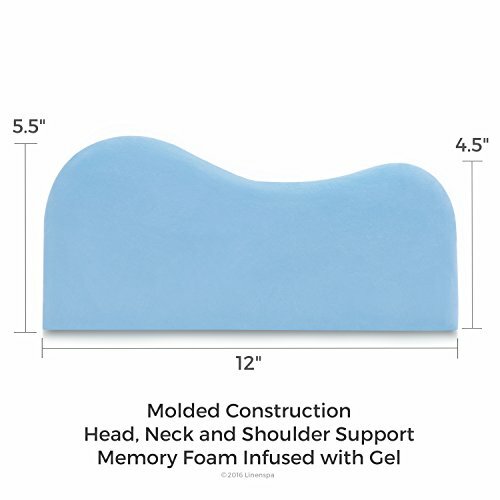 The LinenSpa Gel Contour Pillow with Memory Foam – Standard, High Loft is a fusion of a contour pillow and a memory pillow coming in a standard size and with a high loft. It is a contour pillow designed in a way to fit ergonomically to a certain part of your body and provide support to that area. The high loft supports the side sleepers filling in space between the neck and shoulders while the contour and memory foam helps in back and neck pain. Coming with a warranty, the LinenSpa Gel Contour Pillow with Memory Foam – Standard, High Loft adds to your sleeping comfort and well-being, and thus is highly desirable to add to your bedding comforts. The high loft may not be well suited for back sleepers. 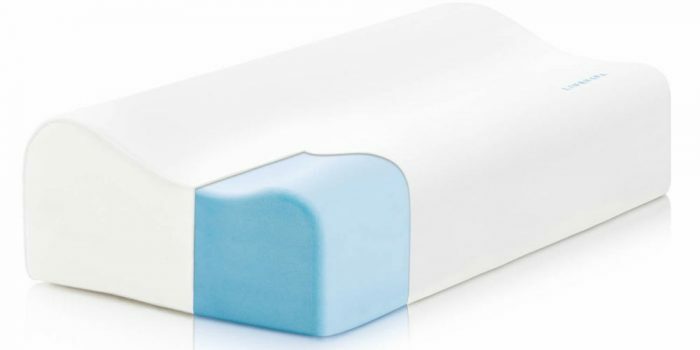 The LinenSpa Gel Contour Pillow with Memory Foam has been acknowledged as a great and satisfying pillow by most of the customers who purchased it. 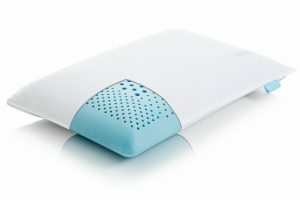 Before moving on to the comparison, it would be appropriate to look at the various advantages a contour pillow blesses its users with. A contour pillow is firmer than a standard pillow and constructed using high-density foam which is also called memory foam. The qualities of a contour and memory pillow overlap in many domains, though there’s a fine line of difference too. Contour pillows are often recommended for people having neck, spine, or back problems which might get exacerbated due to improper sleeping positions and the environment. A number such pillows are available depending on the kind of sleeper you are. If you’re a back sleeper, going for a low loft pillow, i.e. 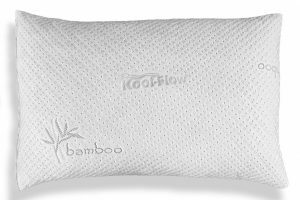 pillow with low uplift or low in thickness, should be preferred, while a side sleeper should aim for a high loft pillow to avoid any problems in the long term arising due to the misalignment of the head and shoulders. A contour pillow benefits those with sleep apnea, too, not just to those suffering from neck and back pain. Instead of going for the biggest or fluffiest of pillows, choosing wisely and keeping in mind the long-term health benefits or consequences is a preferable thing to do. It doesn’t just elevate your sleeping experience, but also keeps the body alignment in check – a property which the LinenSpa Gel Contour Pillow with Memory Foam – Standard, High Loft is well able to exhibit. The loft (height of the pillow as it lays flat) may be retained over time, or may get deformed or changed depending on the type and quality of material used. 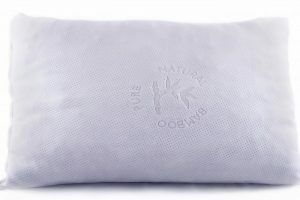 Since this LinenSpa pillow comes with a smooth, though firm material, the shape is expected to be retained for a few years. If you sleep on your back or stomach, a high loft pillow is not recommended, but if you sleep on your side, this is the product for you. Also, the recommendation might vary from case to case depending on what people with certain conditions are prescribed by their doctors. Other contour pillows with similar quality aspects are Sleep Innovations Cool Contour Memory Foam Pillows and Classic Brands Conforma Memory Foam Pillow. The above pillows are well suited for all body types and ages. Though they have received good customer reviews, there a few subtle points to be paid attention to. The former is a two-layer design with a cool foam comfort through the night, and is apt for all types of sleepers as it has both high and low loft, one on either side of it. The shape and density are maintained throughout the use as per the product’s description, though with no supporting customer reviews. The latter, Classic Brands Conforma Memory Foam Pillow, is more of a memory foam pillow with ‘no specific loft’. It responds to the temperature and pressure and molds effortlessly to your head and neck. 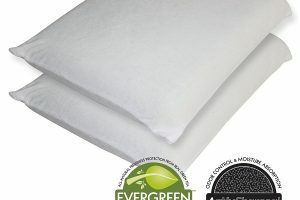 Also, it’s hypo-allergenic and is designed to ensure proper air flow for a sound night’s sleep. Thus, after reviewing the competing brands, choose for yourself. 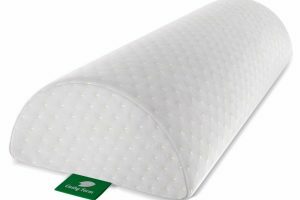 The LinenSpa Gel Contour Pillow with Memory Foam – Standard, High Loft comes with all the desirable qualities expected from a contour pillow. With its firm and smooth material, and the appropriate no-odor cooling gel formula, it’s all set to give you the best of night comforts. Affordable and coming with a 3-year warranty, it’s worth a purchase as stated by many other customers.